"To be a painter, one must work with rays of light. Color is light." Indeed, and so is hair-color. No matter your shade, it's made more vivid, more nuanced, more there ­­- when seen through the prismatic effect of light. Bb.Color Gloss does exactly that. 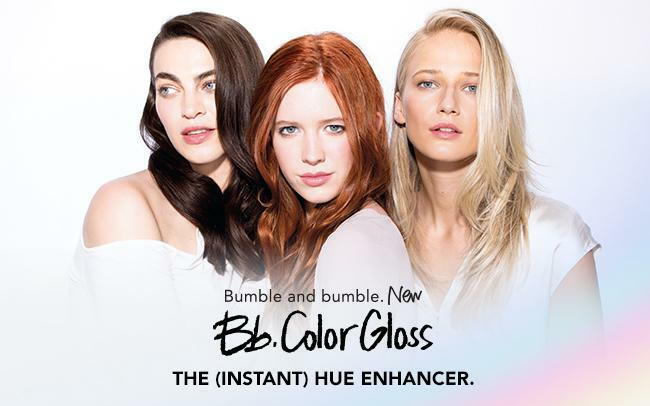 The five hue-enhancing glosses work like a kaleidoscope to reflect color and light in endless patterns - whether you're rocking rainbow-splashed unicorn hair, a single process, or ultra-real highlights. Bb.Color Gloss shines a light on your color. Gives it a boost of brilliance. A shade upgrade, if you will. Ask your stylist for a complimentary color consultation. Update your look!